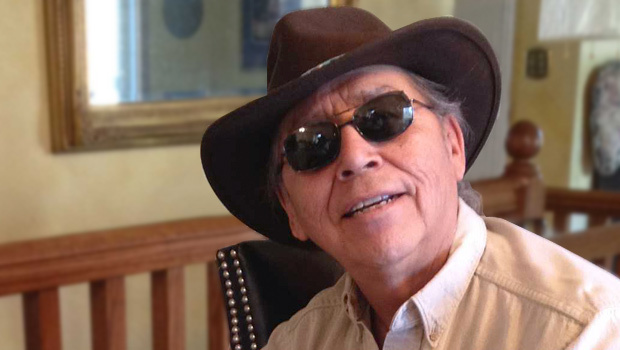 Cedric Red Feather is of Mandan descent and tribally enrolled at the Ft. Berthold Reserve in North Dakota. He is a Nueta Waxikena, a Mandan Turtle Priest. This means that, by birth order, it is his responsibility to transmit the stories, songs and prophecies to the next generation of Waxikenas. A Purple Heart Combat Wounded Vietnam Veteran, he has been awarded six other medals for active duty. Cedric is an Okipa Maker and member of the Blackmouth Soldier Society and Red Feather Society. He was educated at the very prestigious IAIA (Institute of American Indian Art) in Santa Fe and SCAD (Savannah College of Art and Design). He graduated with a BA in Art from Minot State University and worked on his MFA at the University of Memphis. Cedric was previously employed as a substance abuse counselor. He is currently retired and lives alone, which allows him to maintain his spiritual focus. Born 10/1/49 in Elbowoods, ND, Cedric has had a difficult life filled with both tragic and visionary experiences. His teachers—Ralph Little Owl and Sam Little Owl—were real Mandan who lived the Traditional way of life. They spoke the Mandan language and sang the Mandan songs. The time Cedric spent with Traditional people, coupled with his own extensive participation in fasting, sweat lodges, sun dances, healing and naming ceremonies—all of these contribute substance to his work and enable him to radiate love and compassion for all people. Cedric will have his books on sale and available for signing after his talk.